A candle and warm massage oil all in one! This 4oz. 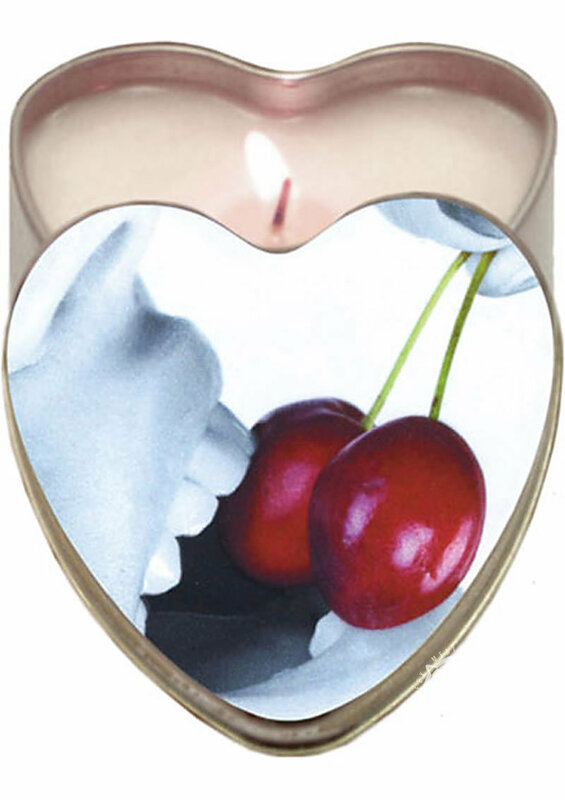 cherry scented Suntouched Candle is a truly impressive product! Burn the candle until it is liquid. Pour or spoon into your hand and apply as massage oil or moisturizing oil. The candle contains all natural ingredients such as soybean oil, hemp seed oil, coconut oil, almond oil, and vitamin E. Fragrance derived from natural sources. It comes equipped with a handy spoon for dispensing. The sweetest smells can lead to the sweetest situations!